Neuroshima Hex on iPhone is a quick-playing well-executed game on iPhone So, it’s great to see that the same developer (Big Daddy’s Creations) is releasing a puzzle version of the game in March 2011. 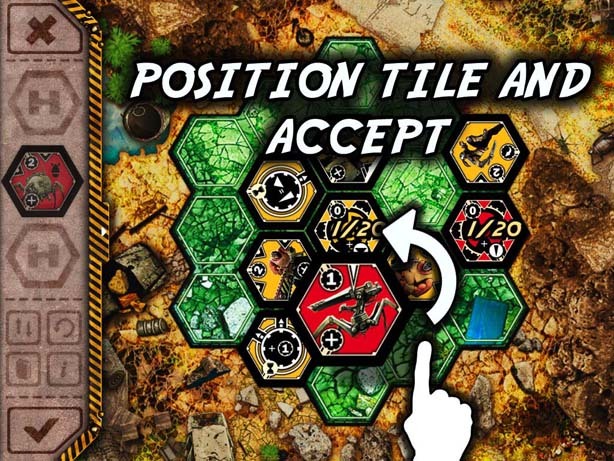 Neuroshima Hex Puzzle will contain 100 different puzzles to solve. I think it sounds like a great idea as it’ll add a new way to play and I do like a good puzzle game especially if it uses a board game. The iPhone Carcassonne solitaire mode was like a puzzle-mode and worked really well. So, I’m looking forwards to this. See the official site for more details. 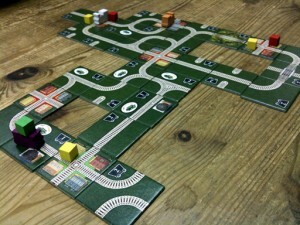 Days of Steam is a light, train-themed, tile-laying game. The tiles show different track routes (or towns) which build up to create a rail network between towns. 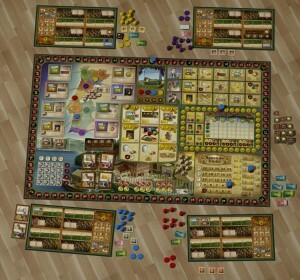 Each player has 1 train and scores victory points (VPs) by delivering goods and completing circuits. The winner is the first player to score 13 VPs, or the one with the most VPs when the tiles run out. 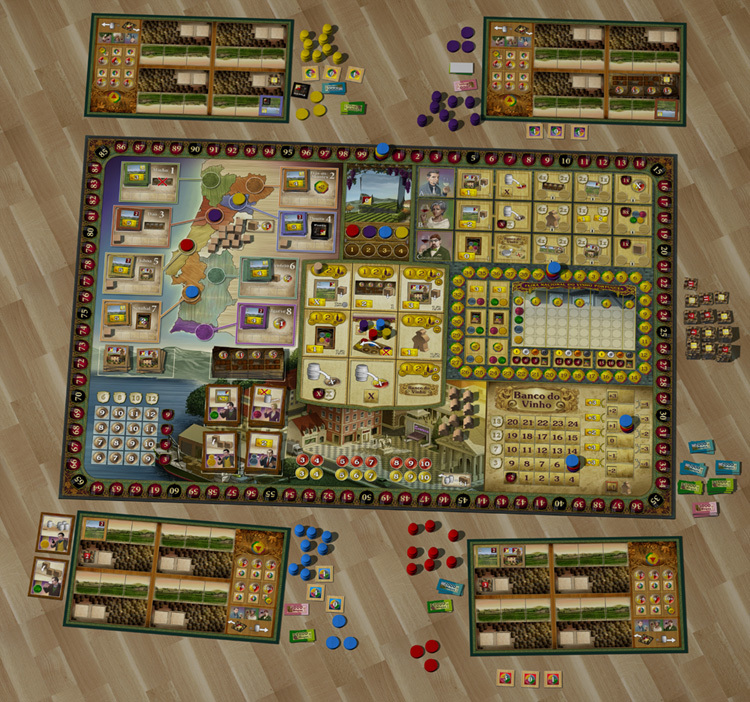 Each turn a player can either move their train (costing 1 point of steam per tile), play a track tile from their hand (earning 1 – 2 steam), play a town tile, or use a water tower (earning 4 steam). 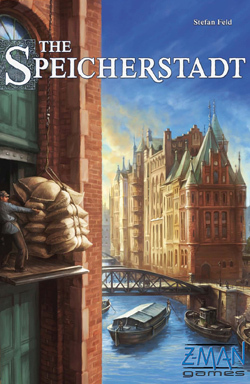 Die Speicherstadt (whose English language version is called The Speicherstadt) is the name of Hamburg’s warehouse district and is a simple but clever game. The goal is to earn as many victory points (VPs) as possible and the game ends when the deck of cards has been used. Each round 4 to 6 cards (number of players plus 1), are available for puchase. Players take turns placing one of their 3 meeple next to a card (on the adjacent warehouse) to show that they want a chance to buy it. If a card already has meeple next to it, the player places their meeple next in the queue for that card. When all meeple have been placed, each card is resolved. 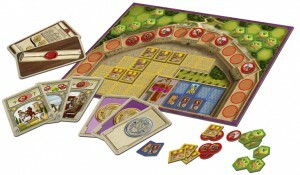 The player whose meeple is first in the queue can purchase the card at a cost equal to the number of meeple in the queue. 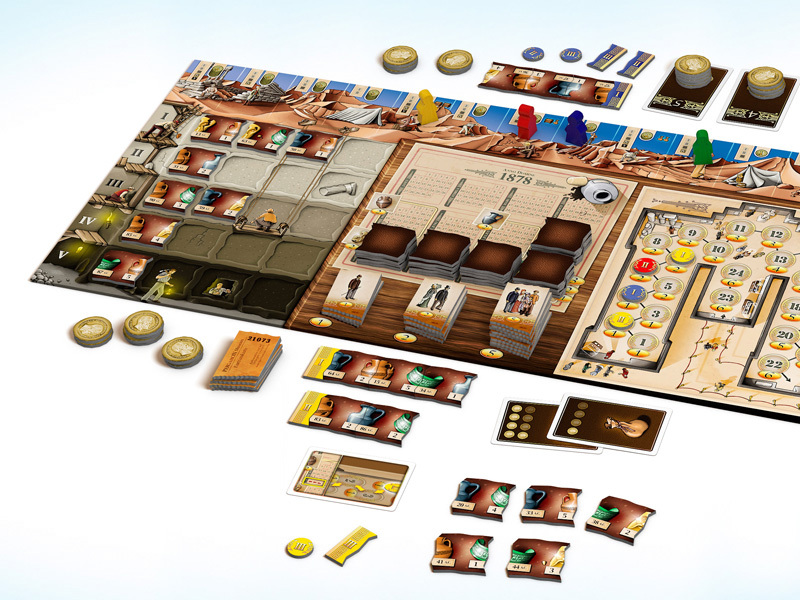 If they don’t buy it, that meeple is removed and the player who owns the meeple that is now at the front of the queue gets the chance to buy it (at a lower cost than the previous player because there are now fewer meeple in the queue). When a player buys a card, any meeple in the queue are simply returned to their owners. I noticed Mâamut in late 2009 but, unfortunately, I wasn’t able to buy a copy from the publisher until Spiel 2010. 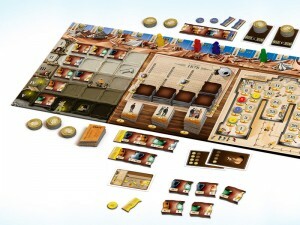 The game appealed to me because of the mammoth hunting theme and its simplicity. 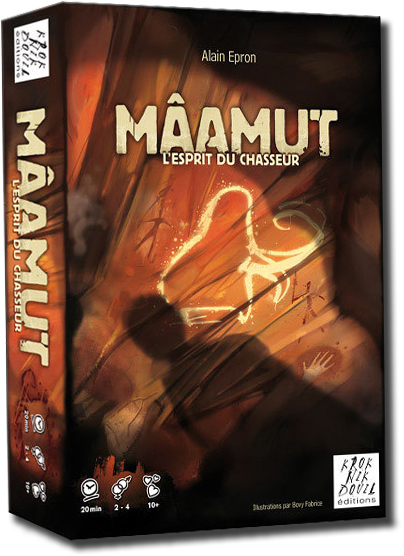 Move – Play a card from their hand of 3 (valued 1 – 3) and move their hunter (a) the full number of spaces, (b) in a straight line, and (c) never on to/through rocks (as these are always out of bounds to hunters and mammoths). Remove opponent’s trap – If no other hunters are there. Pass – Discard a card and draw a new one. 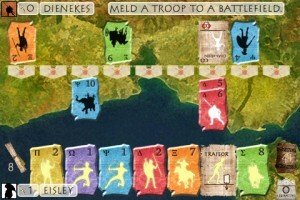 Battle Line is one of my favourite portable 2-player games. Consisting of a deck of cards and a few wooden pawns (and even the pawns aren’t totally necessary), it packs lots of punch by posing constant difficult choices and the potential for clever tactical game play.